Members of a Labor faction on campus have stacked the election of a position within the SRC, which only women of colour were permitted to vote in, sources have alleged. Members of the Labor Right faction, Student Unity, secretly voted in the ballot for Wom*n of Colour Office Bearer – a position that pays $12,000 – which declared a member of their own faction, Vanessa Song, elected in October last year, by a margin of 37 to 5. Separate sources have alleged male members from UNSW and the University of Sydney participated in the election, resulting in the unexpectedly high vote count and margin. The election was conducted via a publicly accessible Google form online, with one source reporting the link to vote was being passed around on a phone by “two senior men in Unity [while] two junior men were present”, as they rode on a bus from UNSW to the city with other Labor students. The source identified the men as from UNSW, but was unwilling to identify them by name. A separate allegation, from a University of Sydney source, was directed at Sydney University Postgraduate Representative Association President, Christian Jones. Jones allegedly showed the source that he had voted in the election on his phone. When questioned by Honi, Jones confirmed he was aware of the election because Song is a friend of his. However, he claimed he “was not aware there was a Google form link”, and that he “wasn’t sent anything”. When Honi interviewed Song and informed her of the allegations, she was extremely upset, angry and surprised. “I genuinely thought that I got it on my own merits,” she said. The election took place via Google form on October 21 between 6pm and 9pm. The appointed Returning Officer and co-founder of the collective, Shareeka Helaluddin, posted a link to the voting form in the Wom*n of Colour collective Facebook group. Helaluddin also claimed she checked with the Wom*n’s Collective Returning Officer, Georgia Carr, before starting the election process to ensure it was viable. Carr said she was told that they were going to “vote online with an anonymous Google form,” but was otherwise unaware of any details. The October election was particularly historic as the Wom*n of Colour collective were, for the first time, given one half of the Wom*n’s Officer position. The Women of Colour Collective formed in 2013 after allegations of racism in the Wom*n’s Collective. However, without access to a budget and unpaid office bearers, the collective had remained a largely online space. As well as providing the collective with access to a $40001 budget, the change would also provide the Wom*n of Colour collective office bearer with a stipend of one-third of the President’s wage – approximately $12, 000 per annum. The now General Secretary of the Students Representative Council, Georgia Mantle, contested the election against Song. The final vote count was a landslide 37 to 5 in favour of Song. “I’m pretty sure a lot of people were surprised by that outcome,” said Bridget Harilaou, a long-time activist and member of the collective. The Wom*n of Colour Collective Facebook group has over 150 members, making it possible for 48 members to have voted from the group. However, multiple members have said a large proportion of the members were inactive when the election was held. The post with the Google form link, when re-visited last week, had been “seen” by 96 members, but had only retained one like. Song alleged she was at ACAR revue rehearsals during the time of the poll, where she solicited some votes from women of colour present. One woman Honi spoke to confirmed Song “pulled it up [on my phone] and I voted for her”. Song named Justine Amin as another Unity woman in the group who would have had access to the ballot link. Amin, a senior member of the faction, denied allegations she had shared the link. She confirmed that she voted in the election, and said she distinctly remembered, “voting at home”. In the days leading up to the election, a deal had just been formed with Student Unity, National Labor Students and Liberal students, locking out Grassroots from a range of positions promised in a previous deal. Mantle, an influential member of Grassroots, who had previously been assured the position of General Secretary, ran in the Wom*n of Colour election following news of this deal. Mantle went so far to say that some members of Unity suggested it was “strategically important” that she not receive an important role in the 2016 SRC. Song also commented that normally they [Unity] stay out of collective business, but “tensions would have been high”. SRC regulations do not prescribe the elections or function of SRC-affiliated collectives. 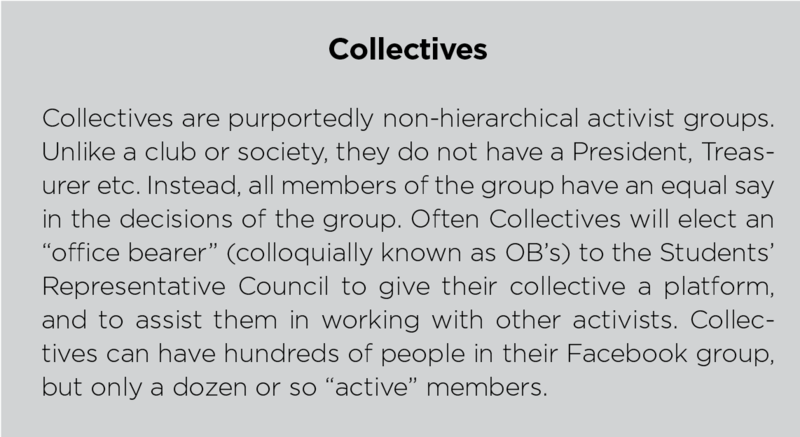 Collective elections are run entirely at the discretion of office bearers, with the result of the election customarily affirmed by the council. The Wom*n of Colour collective is not an isolated incident of alleged stacking or electoral irregularity. Most recently, the Autonomous Collective Against Racism’s election was also stacked by Labor factions in 2014. “I am frustrated that there isn’t a system in place to protect our collective (and others),” said Helaluddin. With a complete absence of regulations on these elections, naivety and good faith underpin access to highly coveted and well-paid positions. Members of the collective indicated a variety of outcomes that would satisfy them, including holding another election or a vote of confidence at the first official meeting of the collective for 2016, which is to have taken place on Monday, February 29.